Whether you’re into mining, energy or tourism, there are lots of reasons to explore space. Some “pioneers” even believe humanity’s survival depends on colonising celestial bodies such as the moon and Mars, both becoming central hubs for our further journey into the cosmos. 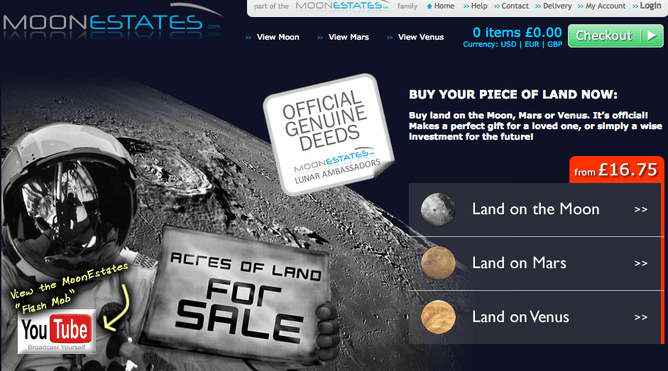 Lunar land peddlers have started doing deals already – a one-acre plot can be yours for just £16.75. More seriously, big corporations, rich entrepreneurs and even US politicians are eyeing up the moon and its untapped resources. Russia has plans for a manned colony by 2030 and a Japanese firm wants to build a ring of solar panels around the moon and beam energy back to Earth. We need to be clear about the legal validity of extraterrestrial real estate as the same ideas that were once used to justify colonialism are being deployed by governments and galactic entrepreneurs. Without proper regulation, the moon risks becoming an extra-planetary Wild West. To figure out whether “earthly” laws can help decide who owns what in space – or if anything can be owned at all – we must first disentangle sovereignty from property. Back in the 17th century, natural law theorists such as Hugo Grotius and John Locke argued that property rights exist by virtue of human nature but that they can only have legal force when they are recognised by a sovereign government. Within the context of space law, the big question is whether sovereignty reaches infinity – how high must you go to escape your country? When the US was confronted with this query in the early 1950s, it lobbied for the recognition of outer space as a global commons. The Soviet Union was difficult to infiltrate to gather intelligence, so open access to Soviet air space was crucial for the US during the Cold War. Perceiving outer space as a commons was also another way of preventing national sovereignty in space. But neither the USSR nor the US was keen to fight out the Cold War on yet another front. Geopolitics dictated the decision to treat outer space as being non-appropriable. This principle can be found back in Article II of the 1967 Outer Space Treaty which clearly forbids “national appropriation by claims of sovereignty, means of use or occupation by any other means”. It has been widely accepted: no one complains the various moon landings or satellites in space have infringed their sovereignty. However, legal commentators disagree over whether this prohibition is also valid for private appropriation. Some space lawyers have argued for the recognition of real property rights on the basis of jurisdiction rather than territorial sovereignty. Historical records of the Space Treaty negotiations clearly indicate people were against private appropriations at the time, but an explicit prohibition never made it into Article II. Lessons have been learned from this omission and the ban was far more explicit in the subsequent Moon Agreement of 1979. However only 16 countries signed the agreement, none of which were involved in manned space exploration, leaving it somewhat meaningless as an international standard. 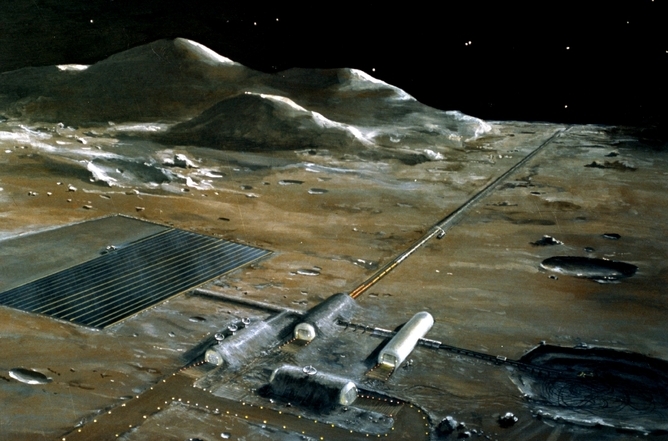 Consequently, space entrepreneurs such as Dennis Hope from the Lunar Embassy Corporation seem to think that there is a loophole in Article II which allows private citizens to claim ownership of the moon. Most space lawyers disagree however. They point out that states assume international responsibility for activities in space, whether by national companies or private adventurers, and therefore that the same prohibition extends to the private sector. So while the idea of buying some lunar real estate might be fun, in order for these plots to be recognised as property there needs to be legal recognition by a superior authority such as a nation state. As states are not allowed to claim sovereign rights in outer space, landed property on the moon and planets will in all likelihood be outlawed. Legal commentators are hopeful that states will remain loyal to the treaty and refrain from recognising or endorsing a private property claim. If there is a precedent, it lies at the bottom of the ocean. In 1974, the US government refused to recognise the exclusive mining rights of Deepsea Ventures to the seabed beyond the limits of national jurisdiction. But all of these arguments are rather theoretical. If you just simply occupy a place and no one else can access or use it, aren’t you the de facto owner? Lawyers call this corporate possession (corpus possidendi) and it represents another reason why title deeds cannot be a legal proof of lunar ownership – no one is physically there. In order to possess something, both mind and body need to be involved. Intention alone is not sufficient; possession also requires a physical act. The difficulty of physically establishing an act of possession on the moon should protect it from private development, but it seems technology is once again outsmarting the law. Back in the late 1990s commercial firm SpaceDev intended to land robotic prospectors on an asteroid to conduct experiments and claim it as private property. The project eventually ran out of funds and was shelved, but advocates of such “telepossession” point to cases of salvage companies claiming undersea wrecks as property after exploring them with robots. After all, if an undersea probe with a TV camera was all that was required to take possession of a (previously owned, earthly) shipwreck, why shouldn’t a space probe be enough to take possession of an unowned and unclaimed patch of celestial real estate? Though legal ownership of the moon or Mars is prohibited, the appropriation of material is a whole different matter. It looks like entrepreneurs could claim something like “enterprise rights” that allows them to explore and exploit natural resources in outer space. I get the uncomfortable feeling of a déjà vu. Was it not Locke’s property theory that justified possession over nature and vacant land and eventually led to the colonisation of the Americas? Let’s hope that the international community and individual states come to their senses before it’s too late and get to sign and ratify the Moon Agreement which might give us a little bit of hope that we can avoid another enclosure movement. Recent conflicts over Ukraine, the South China Sea or Syria have raised talk of a “new era in geopolitics”. They may also rekindle the realisation that outer space should not become the next playground for conquest. Saskia is a Senior Lecturer at the Lancaster Environment Centre at Lancaster University. Saskia Vermeylen receives funding from research councils.